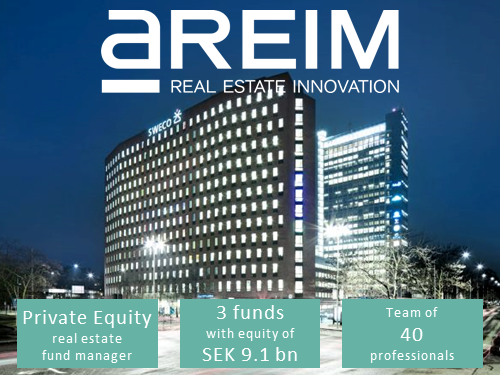 Areim is a leading Nordic real estate fund manager. For more than 15 years, we have successfully managed investments on behalf of some of the world’s largest institutional investors. We consistently deliver competitive returns in a manner that is both financially responsible and socially sustainable. Our ambition is to build a corporate legacy of enduring worth and pride to both our investors and society at large. We typically invest in underperforming or underdeveloped real estate where we see we can add lasting value. Our enhancement strategies range from upgrading and modernizing property acquisitions to regenerating urban environments for the benefit of the city and its residents.